Steel handle w/ black finish & raised grip. Combo window breaker & belt/cord cutter built into handle. 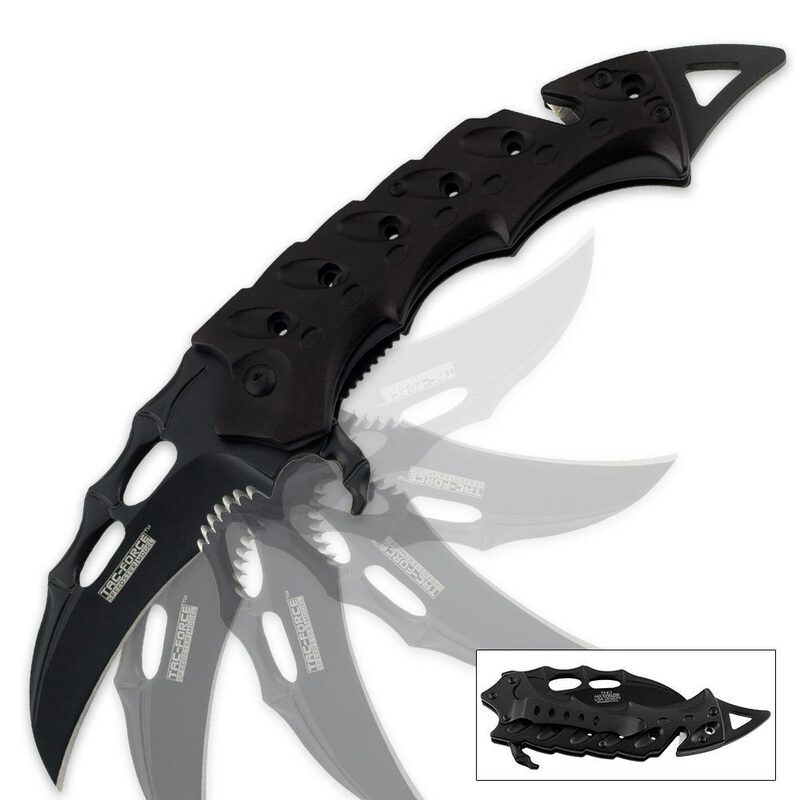 Dragon talon style blade geometry. 8 1/8 in. overall opened, 3 in. blade, 5 3/8 in. closed. My very first buy from this site and it's by far one of the sturdier spring assisted blade I've seen and an absolute bargain and is a decent sized one at that. It also has a very nice weight about it. One of my favorites. One of my first buys from true swords and most definitely one of the best and strongest knives I've ever seen especially for a spring assisted. A must have for anyone. I look forward to ordering tons more. Great knife, great look, decent spring. Looks a bit bigger in person (which is always welcome), and the spring assist has some power to it. The blade itself is slightly sharp, but a few strokes across a sharpener should top it off well. Overall, an excellent value and a recommended buy.